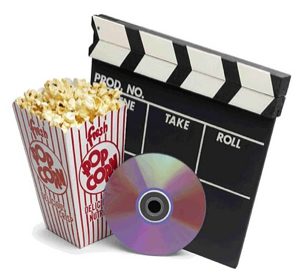 BALIF - Announcing BALIF’s First Movie Night! Announcing BALIF’s First Movie Night! BALIF invites you to a festive sneak preview of “CLAIMING THE TITLE: GAY OLYMPICS ON TRIAL”, an award-winning half-hour documentary premiering on PBS later this year. In 1982, a San Francisco athletic group tried to hold a “Gay Olympics,” but was sued by the U.S. Olympic Committee for trademark infringement. The organizers of the gay games argued the Olympic Committee’s legal monopoly over use of the generic word “olympic,” as granted by Congress, violated their free speech rights. The ensuing legal proceedings ended up at the U.S. Supreme Court and became an argument over the place of gays and lesbians in American society. This documentary features many legal luminaries — Ninth Circuit Chief Judge Alex Kozinski, former New York Times Supreme Court correspondent Linda Greenhouse, newly appointed EEOC Commissioner (and former Supreme Court clerk) Chai Feldblum — even footage of Justice Harry Blackmun describing fellow justices’ attitudes toward homosexuality. This event is FREE. BALIF suggests you consider a tax-deductible donation of $25 – $100 to support distribution of the film at law schools, universities and community libraries.